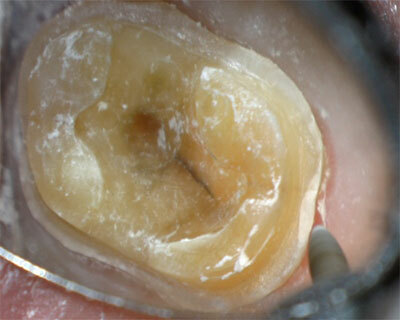 Why we use Microscope Enhanced Dentistry. At Donato Dental, we have been using the dental operating microscope since 2004, and consider it to be among most valuable pieces of technology we use. This equipment has truly transformed the way we practice dentistry in ways we never imagined. I currently have numerous microscopes, one in each of our operatories. They are ceiling-mounted Global Surgical G-6 models, which offer six steps of magnification. All of my microscopes have SLR digital cameras and live video cameras attached to them. The video feed, which is directly connected to the operatory, computes and bridges to our practice management software so that images can be easily captured and stored in the patient’s chart. 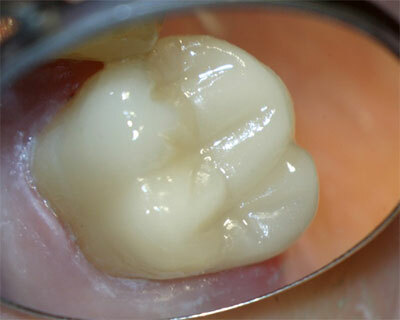 What are the advantages of Microscope Enhanced Dentistry? 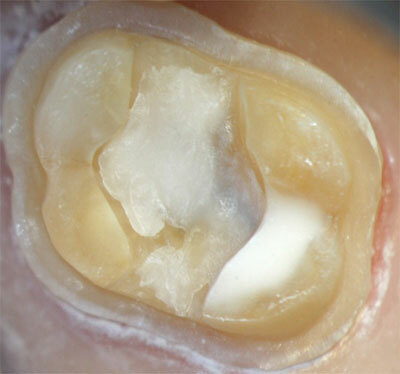 The microscope is also beneficial in locating small and extra canals in teeth that are being root canalled. In fact, all endodontic teaching programs in the U.S. are required to include training on the microscope as part of their curriculum. Some dental schools are even exposing all of their students to the microscope. Donato Dental is pleased to join the growing number of dental offices across the U.S. that now provide their patients with microscope enhanced dentistry. 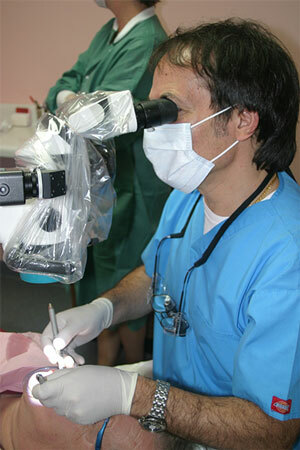 What are other advantages of Microscope Enhanced Dentistry? One of the most significant advantages to the operator is improved ergonomics through better posture. This enables us to operate more comfortably for longer periods of time without breaks. This obviously improves our level of efficiency and productivity, since more treatment can be provided in fewer visits. This is a great benefit to our patients!